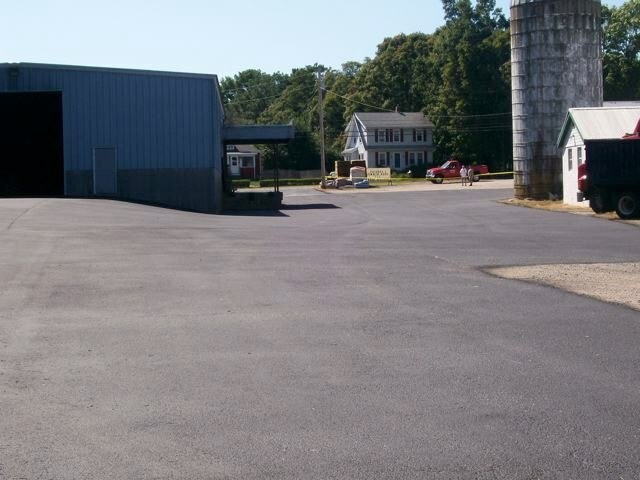 Ferensteins Feed & Farm Supply in Foxboro MA wanted to protect their existing pavement. A pothole is more than just an eyesore, it can pose a threat to motor vehicles, bicyclists and pedestrians. 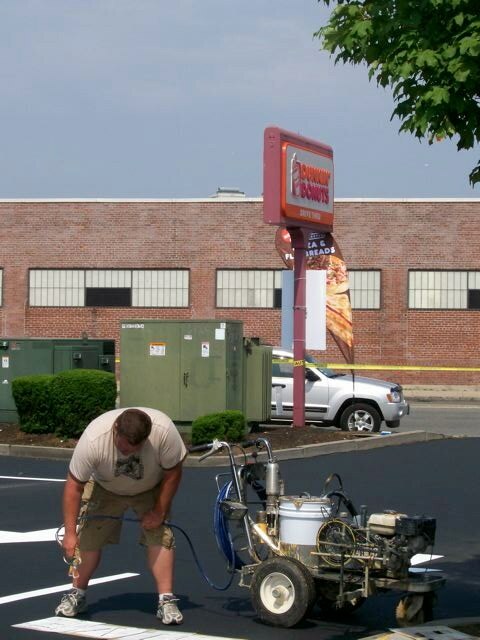 Asphalt patching is a spot-treatment that can target even the smallest of problem areas. 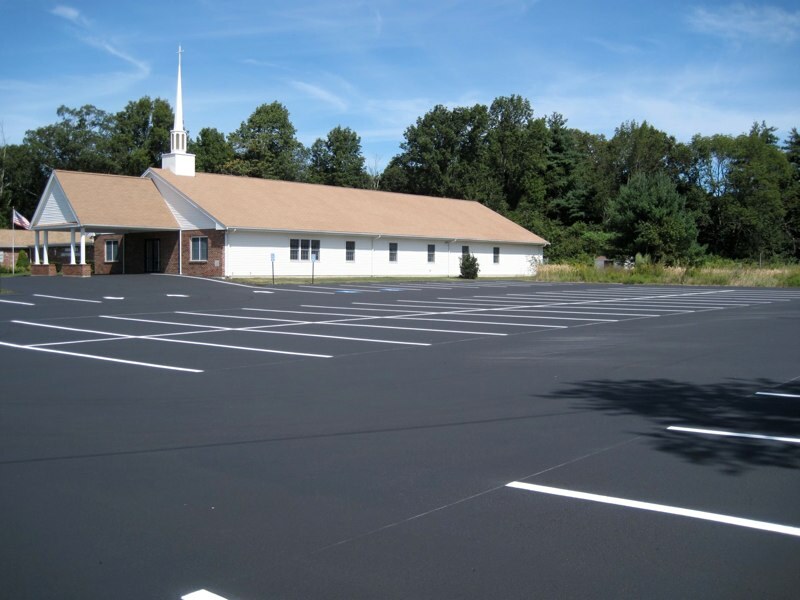 In order to get the most from your asphalt repair, we will determine the integrity of the existing asphalt and decide if it would do better with a hot asphalt overlay or if it is strong enough to be cut out, repaired and replaced. Catch basins are installed in parking lots to provide adequate and correct drainage of water off of the surface. 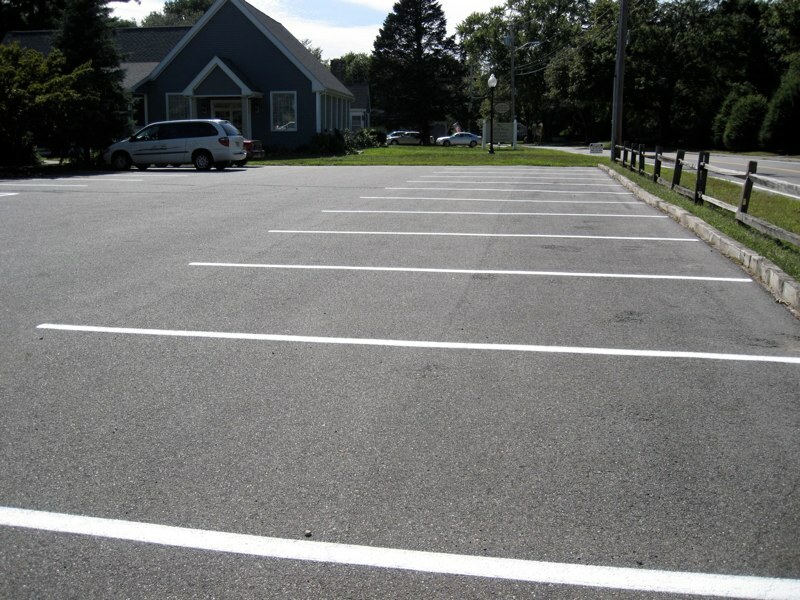 Because water is a prime factor in the deterioration of asphalt and concrete, catch basins are often the first areas of a parking lot to fail. Over time asphalt will shrink from around the catch basin frames and water often times will seep into that void before it has a chance to drain into the catch basin. In winter, as the runoff is mixed with highly corrosive parking lot salt, there is an even greater chance of the concrete to deteriorate. The freeze/thaw cycles we have in Massachusetts further accelerate the deterioration process. If catch basins are left unrepaired the asphalt in the surrounding area will further deteriorated and cave in because of base erosion and asphalt and concrete failure. The proper repair of the catch basin will increase the useful life of the parking lot. But more importantly, personal liability and vehicle damage will be eliminated. 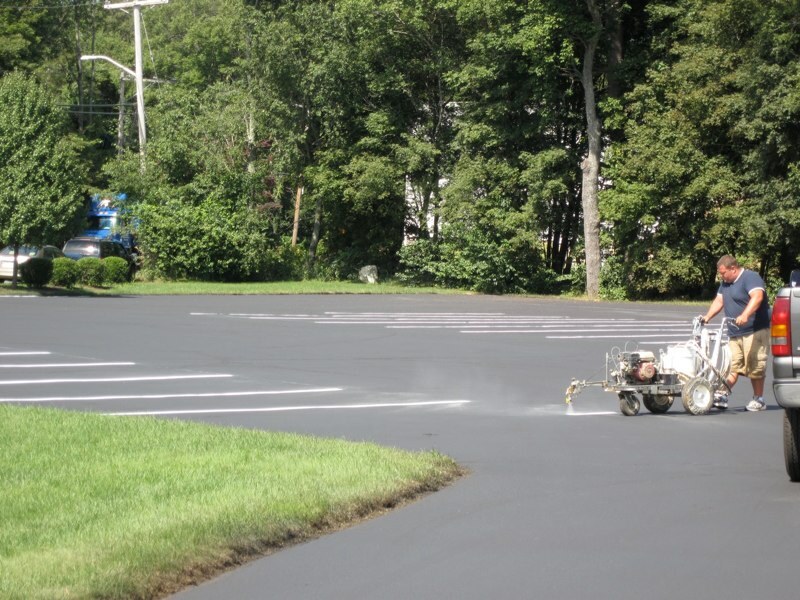 Sealcoat provides two essential benefits — surface preservation and aesthetic improvement. For the first 5 – 10 years of asphalt’s usable life, all that is required of a properly constructed asphalt section is replenishing the oxidized surface of the asphalt. When asphalt is exposed to sunlight and water, the oil component starts to break down. If left un-sealed, there is nothing to bond the aggregate together and the pavement slowly starts to separate. In fact, a newly constructed pavement surface can completely separate and fall apart from the top down in 10 – 15 years if left unsealed. Sealcoating every 2-4 years prevents this erosion and breakdown while providing a smooth, black surface that is visually appealing. All cracks ¼ inch width or wider must be sealed to prevent water infiltration and protect the life of the pavement. Small cracks (less than ¼ inch wide) are generally not sealed because the material will not penetrate the surface. A number of products are available for sealing cracks but the most well known and most cost-effective is hot-rubberized crack sealant. Cold-pour crack repair materials also are available but these are usually considered less robust and generally suited to lower traffic areas. 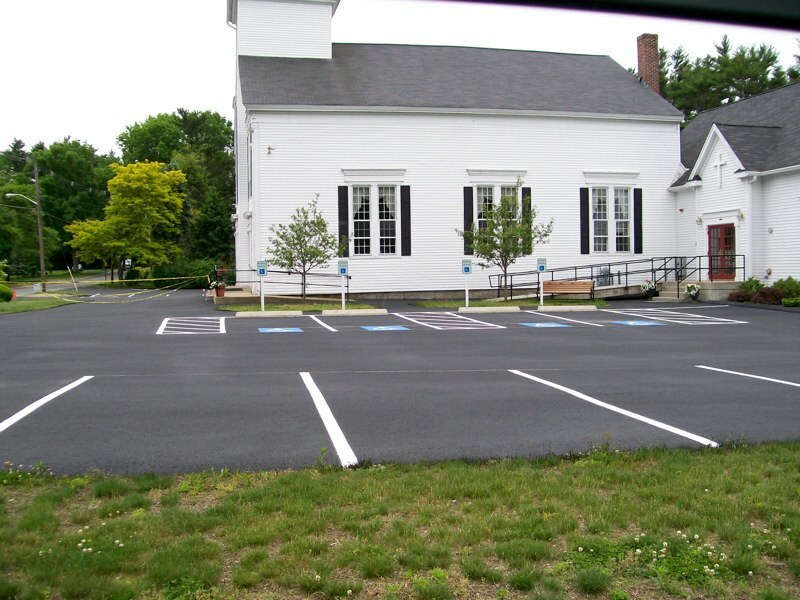 The first thing your visitor notices is the appearance of your parking lot; a the lines easy to see, is the traffic flow apparent, and are your handicap stalls brightly marked. 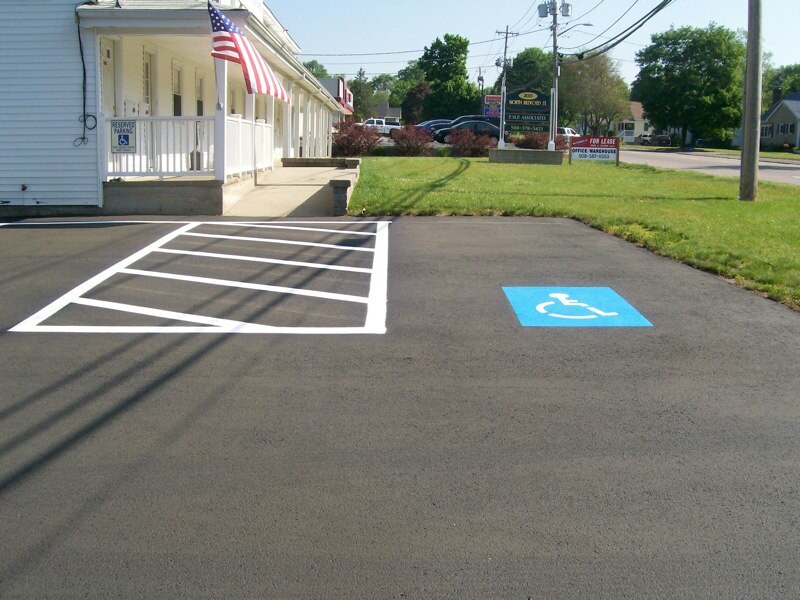 Following current ADA and MA DOT guidelines, and using the highest quality latex traffic paint-we are able to create a new layout or refresh your current markings to increase curb appeal and safety compliance. Snow management by United Sealcoat means that your customers, employees, suppliers and residents will arrive safely. Parking areas, access roads, walk ways and entrances get immediate and constant attention throughout any snow & ice storm. We specialize in commercial, industrial and large scale residential communities and work alongside multiple property management companies for their snow & ice removal needs. We are organized, well staffed and fully equipped to handle the toughest winter storms. Lets talk about what we can do to help bring beauty to your brand and business today! We travel throughout the South Shore & South Coast of Massachusetts, servicing: Abington, Bourne, Bridgewater, Carver, Cohasset, Duxbury, East Taunton, East Bridgewater, Easton, Halifax, Hanover, Hanson, Hingham, Hull, Kingston, Lakeville, Marshfield, Middleboro, North Easton, Norwell, Pembroke, Plymouth, Plympton, Raynham, Rockland, Sagamore Beach, Scituate, South Easton, Taunton, Wareham, West Bridgewater, Whitman. 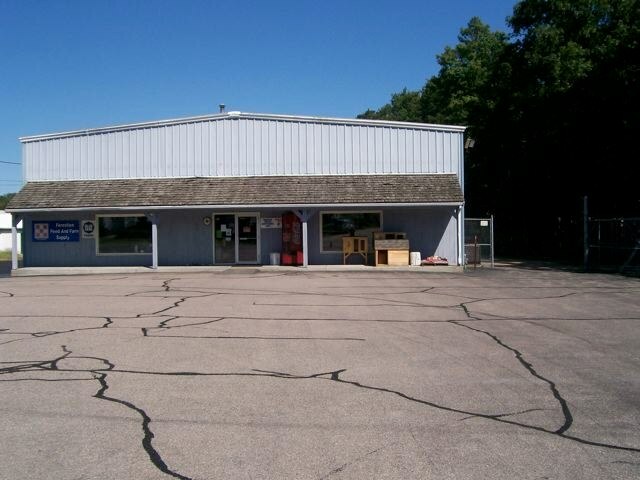 Industrial and Commercial services include patching, pothole repairs, storm drain repairs, sealcoating, crack filling, pavement markings, and snow removal. Give us a call, we travel across Massachusetts, Rhode Island, New Hampshire, and Maine for a big enough job!